Hailing from New Milford, Connecticut, FINS dropped their new 7″ on the ObscureMe Records label and it’s picking up some momentum. They play spastic garage-punk at breakneck speeds with a bit of dirty grunge fouling the air. The destruction begins with “Foxfire,” where sharp, rabid guitars are awash in a wave of gritty, angered fury. This becomes the formula around here, so you better get used to it – they’re not going to slow down. The heavily sloppy guitars do much of the damage in a freakish track like “Lawnmower.” It’s totally unsettling and completely unhinged, hereby making for a blown-out 7″ with no rules whatsoever. These raging guitars are as noisy as they are melodic, offering a blitzing pummel with plenty of spiny guitar shards and frantic energy to leave you floored in the ravaging euphoria. On the B-side, “HAGS” is swelling with these furious guitars, revealing a glowing lead toward the end that manages to cut through the thick layer of grungy scuzz, clearly showing these guys know how to hit that mark. “Hold” offers one last grunge-punk banger, driven by more mangled guitars and crashing percussion. It’s a dense and nasty one, keeping their berserk pace right on point. As the song wraps up we’re exposed to another splitting guitar lead, which manages to sound both hazy and ghostly at the same time. It’s a peculiar tone and it sticks out like a sore thumb, helping bring every last one of these frenzied tracks to chaotic new heights. Go and buy this thing right now from ObscureMe Records before everyone else does. While you’re at it, you can listen to these two tracks from the 7″ below, then hear the remainder of the 7″ on the Fins Bandcamp page. BUY the 7″ directly from ObscureMe Records – get it while ya can ! 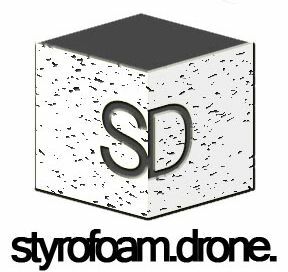 Posted on October 11, 2012 by styrofoamdronePosted in 7", EP, Reviews, Still Spinnin'Tagged garage rock, grunge, punk.